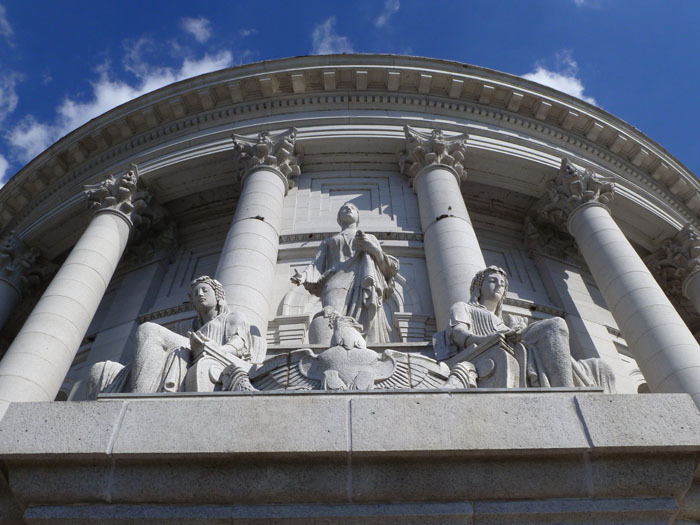 Home › Architectural Research › Should the New Capitol Be a National Historic Landmark? 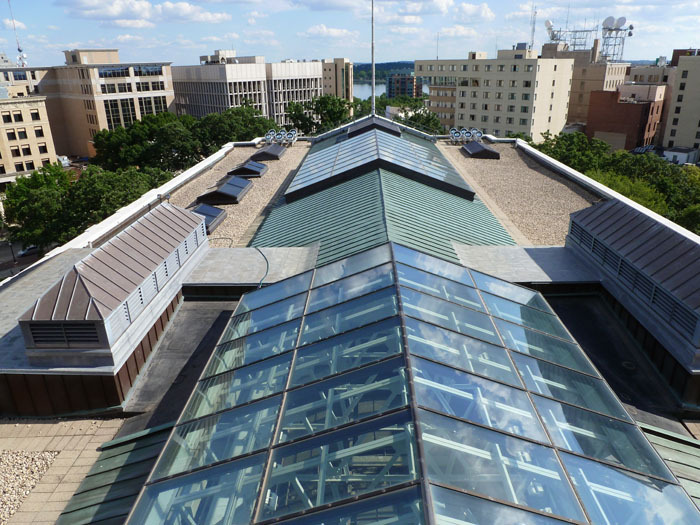 Should the New Capitol Be a National Historic Landmark? 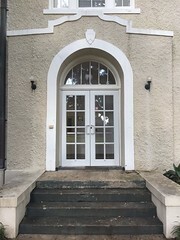 National Historic Landmarks are nationally significant historic places designated by the Secretary of the Interior because they possess exceptional value or quality in illustrating or interpreting the heritage of the United States. Today, fewer than 2,500 historic places bear this national distinction. 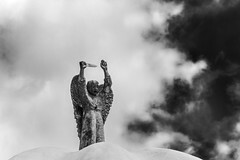 Working with citizens throughout the nation, the National Historic Landmarks Program draws upon the expertise of National Park Service staff who work to nominate new landmarks and provide assistance to existing landmarks. 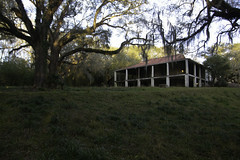 Mississippi currently has 39 NHLs out of a total of over 1300 National Register listings in the state. 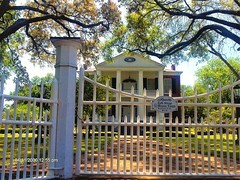 Because of the early architectural bias of the preservation movement, most of our Mississippi NHLs achieved their designation due to their architectural quality, and many of them date to the antebellum period. We also have a good number of archaeological listings due to our rich history of Native American settlement in the pre-historic period. In fact, the two earliest NHLs in the state are archaeological sites: Grand Village in Natchez and the Holly Bluff Site in Yazoo County. 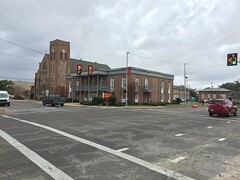 The Port Gibson Battle Site and the Circle/Lyceum at Ole Miss (for its Civil Rights significance) are the two latest listings, from 2005 and 2008 respectively. Inexplicably, the Medgar Evers House is not an NHL, although surely that’s an oversight? Other than the Circle, I don’t see any other NHL on our list for its Civil Rights significance. Seriously?? The Old Capitol is an NHL (you can read the nomination here), but mostly for its historic significance in the history of property rights for women and for its role in the 1890 Constitutional Convention–you know, the one that started Jim Crow in the South? So, while it’s nice that it’s designated, it’s more of a backhanded compliment than we would wish. 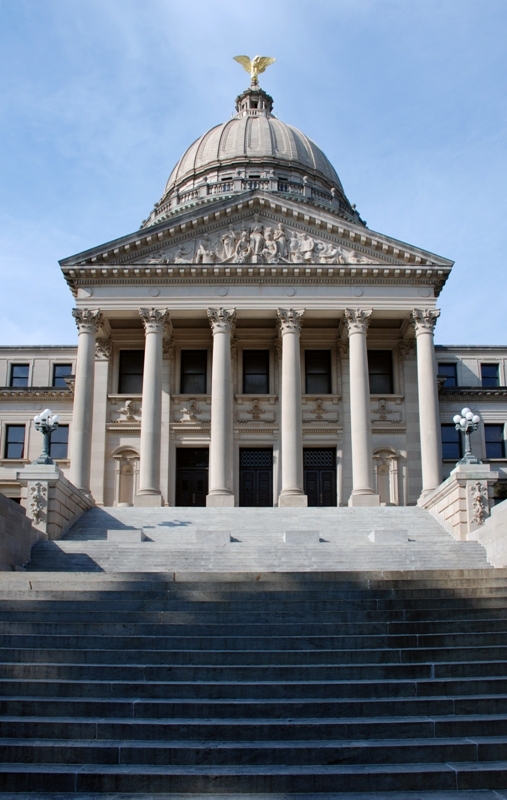 Many legislators and state preservationists want to add the New Capitol to the list and to us Mississippians it seems a no brainer–certainly it’s the grandest building in the state, and when we look around the region, we think it stands up pretty well regionally too. Besides that, architect Theodore Link’s Union Station in St. Louis is already listed as an NHL, so it seems clear that he was a master architect at more than the local level. But from what I have heard, this concept that seems so clear to us, has been met with hesitation at the National Park Service level, where they don’t necessarily believe that Link is nationally important or that the grandness of the New Capitol’s architecture is really all that grand at the national level. When I’m in an especially paranoid mood, I start to thinking that because Theodore Link was based in St. Louis and not New York, he gets short shrift with architectural historians, the majority of whom are based on the East or West coasts. George B. Post & Sons designed the current Capitol, which was built between 1906 and 1917 at a cost of $7.25 million. 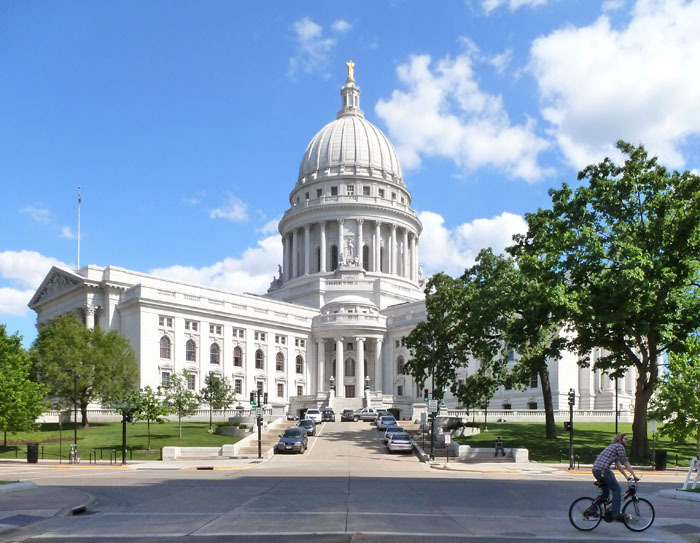 The Madison Capitol is distinguished as being the only State Capitol ever built on an isthmus. Reaching to a height of over 200 feet, the Capitol dome is topped by Daniel Chester French’s elegant gilded bronze statue, “Wisconsin.” Edwin Blashfield’s mural “Resources of Wisconsin” lavishly decorates the ceiling of the rotunda, which is the only granite dome in the United States. Inside, visitors are treated to the unique textures of 43 varieties of stone from around the world, hand-carved furniture and exquisite glass mosaics. I have to admit, the building is amazing! For one thing, they let any ol’ visitor walk up a set of narrow steep steps from the fourth floor right out onto the balcony surrounding the dome. The Wisconsin Capitol was designated as an NHL in 2001. Wisconsin only has 41 NHLs, so in total, they’re not far ahead of us. Yes, I know it’s not a competition, but . . . 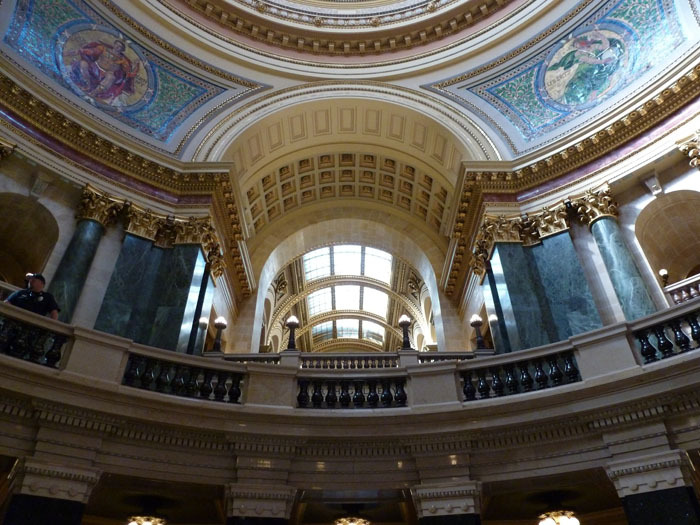 The Wisconsin State Capitol is nationally significant as an excellent example of Renaissance Revival architecture, as interpreted through American Beaux-Arts sensibilities. 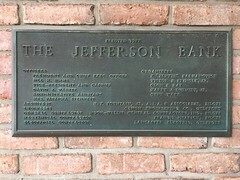 The building also has association with a political movement that had a profound impact on national politics in the early decades of the twentieth century. Well, I won’t argue with that, but having now seen the building–which as much as we say isn’t our competitor in fact is–I think our New Capitol stands up pretty well. No, we don’t have as many expensive and rare materials, but I think the design is right up there with Wisconsin’s, and is it just because George Post was a New York architect and Theodore Link had the misfortune to work in a Midwestern city that Post is considered national in scope while Link isn’t? 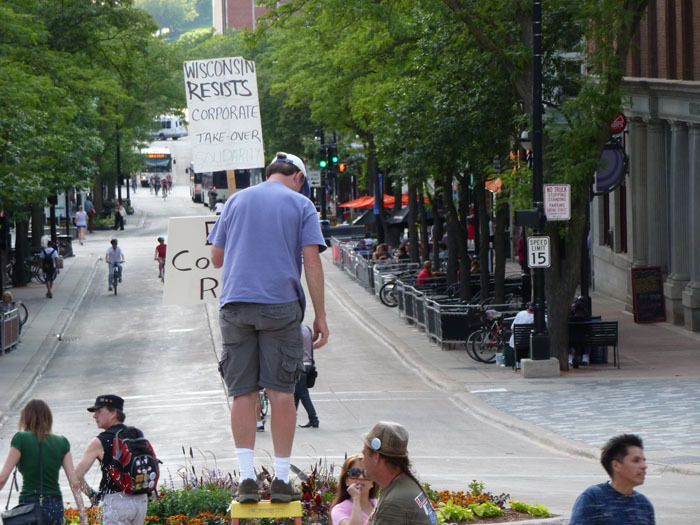 Leaving aside the architecture and concentrating on history, yes, Wisconsin played an oversize role in the Progressive movement of the early 20th century. Mississippi also played an oversize role in a political movement later in the 20th century, and while the state’s leaders were mostly working against the Civil Rights movement, nevertheless, the New Capitol was at the center of the actions and reactions of those roiling decades. This post isn’t meant to make a scholarly case, just to see whether our Beaux Arts New Capitol is in the same league with their Beaux Arts Capitol. My answer? Definitely! Maybe theirs is in the Big 10, and our’n is in the SEC, but we could meet in the Rose Bowl and totally clean their clock. Not that it’s a competition or anything. Not having seen our’n, I can’t really compare the non-competition, but this is certainly a beautiful depiction of the non-competition. NEVER??!!!!??? Next time you’re in Jackson, we’re going over there! George B. Post & Sons had an army of architects and designers employed in several cities across the US. Having all that spare time allowed Mr. Post to follow notable pursuits like being the president of the AIA. Mr. Link would have had an uphill battle even if he was located in New York. As to whether or not the New Capitol is NHL eligible I believe it is, but I agree there are some civil rights sites that are of more national importance that should be recognized first. Great post! You really got me thinking! I don’t know the technical definition of “army” but Link had a large office and if you include Jackson, qualifies as “multi-city.” He wasn’t AIA president, it’s true, but then again neither were a lot of nationally and internationally important architects. I have not been able to pinpoint how many offices or employees Post had but I think he had offices at least in both DC and Cleveland. In his AIA biography they say his firm was one of the largest in the United States. Post was named an AIA Fellow in 1864 twenty five years before Link in 1889. Link was only named a Fellow at the time because it is when the Western Assoc. of Architects merged with the AIA and the WAA called it s members “fellows” so the title was transferred for every one (although I think we’ve learned that getting named a Fellow in the past was more of a who you know kinda thing). Post was elected to the AIA presidency in Link’s home town St. Louis in 1895. He also receive the AIA gold medal in 1911. I don’t want to come off as making a case against Link but the cards are stacked against him for notoriety when comparing him to Post. And maybe it _is_ because he based in St. Louis. too bad he wasn’t based in bay st louis. Great post – really interesting! I definitely think this should be a National Historic Landmark. Perhaps, as you say, the perceived regionalism of Link’s practice has caused him to be overlooked. The building has enough architectural interest to stand on its own merits, but possibly it hasn’t stood out in the public mind as much as other state capitol buildings. Looking at the thumbs up and down on this post and the comments, it seems clear that someone was in a very grumpy mood while reading. it’s hard to believe that it isn’t on nhl’s list already. some state governments understood immediately that listing things brought tourism and preservation dollars; but we have lagged in that.